Meet Esther Greenwood: nineteen, on the honours track, intern at a prestigious New York City magazine, and engaged to a doctor-to-be. Yet, though she lives a life coveted by every literature major, her successes are no joy to her. Instead, she slowly descends into madness, realising that her achievements are confined to the academic world – stripped of her scholarly accolades, she sinks into ordinariness. “I was supposed to be having the time of my life,” she declares. “I was supposed to be the envy of thousands.” The Bell Jar takes a poignant and visceral look into the mind of this troubled girl, giving us an unparalleled story of not only depression, but of its author, Sylvia Plath. While some readers may trivialize the milestones that mark Esther’s mental breakdown for they appear nothing close to catastrophic – these include her boyfriend’s torrid affair with a waitress, her boss’ suggestion to learn other languages in order to ‘not be so run-of-the-mill’ and (shock and horror!) a rejection letter from Harvard’s summer school – this is is precisely how The Bell Jar triumphs. Through Esther, Plath brings to light an important truth about depression: you do not need a chain of cataclysmic events to set you off. In fact, every person has a different set of triggers. Esther’s mind has been conditioned to expect perfection to such an extent that she assigns greater meaning to the slightest mishap than need be. Not being accepted for a summer school may seem inconsequential to most, but to her, the slightest departure from her grand plan only means that depression is on the horizon. Even if you’re not convinced by that, Plath’s sheer writing ability alone should persuade you to read this book. Unlike her poems, The Bell Jar is surprisingly accessible to the average reader. Avoiding superfluous language, Plath expresses her acute understanding of depression with flair and finesse, delivering clever, Tumblr-worthy punchlines. Even if you’re not interested in the deep stuff, you could always take some quotes from here and let them grace your social network pages. Ha ha. If I had to name a downside to reading this book, well, perhaps reading it could be considered one in itself. The reading experience resembles the title of the book – you feel ensnared in an airless, confined space. Providing unrestricted access to her fragmented psyche, her narration suffocates you as she doesn’t once divert her thoughts from depression. From Chapter 10 onwards, it feels like a relentless onslaught of misery after misery. Her narration is inescapable, making an unbiased, rational judgment of the situation almost impossible. And in all this, you won’t be able to help but recall Sylvia Plath’s predicament to mind. We remember her as the poet who thrust her head inside an oven and the lovelorn wife whose husband was embroiled in an affair – and of course, we remember how his mistress replicated her suicide method. 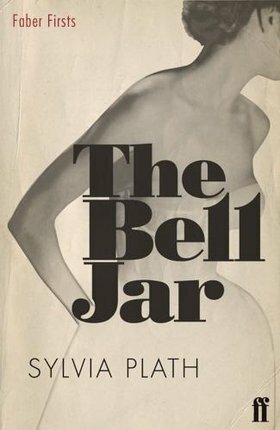 Legions of fans read The Bell Jar because of its semi-autobiographical nature; many see this book as an opportunity to get a glimpse of her college days. And why not? Why not read this book simply because she is Sylvia Plath? Fast forward more than forty years and readers still live by her clever quotes, critics name phenomena after her (do check out the Sylvia Plath Effect if you have the time) and pop culture still celebrates her in songs and books. Some parts may be a little too dizzying, but do give it a try – perhaps you’ll find yourself enraptured by her tale of depression. The reason The Bell Jar is so good is not just because it paints a visceral picture of depression but about the sociological factors that lead up to Esther’s breakdown. It was written in the 1950’s in very much a pre-feminist world where a woman was primary goal was to get married and have a family. It doesn’t matter if she was academically gifted – the be-all-and-end-all was to catch a man. Esther is a serious writer in a field dominated by old white male academics and yet the only job she is able to get is in a women’s magazine which in those days were even more retrograde than they are now. Her boyfriend has affairs but she is to stay virtuous because, hey, the double-standard! Women are not allowed to be sexual outside the confines of marriage. Given all that, who would not have a nervous breakdown? Everyone talks about the biological roots of depression and less and less is paid attention to the sociological roots. Why? Because if you are biologically depressed it is up to you to get a pill – so it’s a win for some pharmaceutical corporation. If you are depressed because of unjust treatment, it’s up to society to change and that means a government has to dole out money to create a more just system: ie. social housing, free healthcare, more support for mothers, etc. Which is more profitable for governments and corporations? Give people decent lives and a lot of the depression we see will go away. Anyway, the book is not just a personal story about depression without a context. The context is very much a part of the story.